We have picked up another power bank from ADATA, this time a smaller in size and capacity and fancier looking compared to the other models we have tested so far. 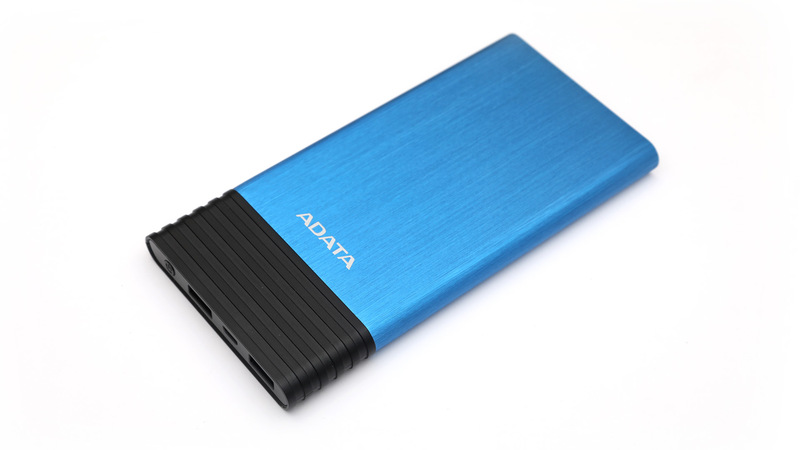 The 7000 mAh ADATA X7000 comes with mostly aluminum case where the battery is and a smaller plastic part where the electronics is housed, a slim, light and good looking power bank for sure. It comes equipped with dual USB charging ports and can charge two devices simultaneously with a maximum combined charging current of 2.4A. The supported input current for charging the battery inside the power bank is 2.0A, so it can be charged faster and can charge devices faster with up to 2.4A max current. Not to mention that the price of the power bank is quite attractive, making it an interesting choice for lower capacity model with faster charging options. We have tested the 7000 mAh ADATA X7000 Power Bank with 1.0A constant discharge current as the more often used as well as with 2.4A as the maximum supported by the power bank. In both cases we are seeing that the electronics of the power bank manages to provide pretty stable and high (close to 5V) output and a very good capacity levels in terms of mAh and as a result in Wh as well. The voltage cure is not straight line like we’ve seen with previous models from ADATA, but a jagged one very similar to that we’ve seen in our 5000 mAh GP Portable Power Bank (FP05M) Test.